Thread: Shot Show 2019..Anyone going? PSA MP5 later this year, but I'm guessing next year this time. Anyone have a good rundown on the PRS new-hotness? Action, chassis, scopes and accessories like LRFs? Is it in the same place every year or does it change venues? I don’t travel outside of my state very often and when I do it’s only Texas. I wouldn’t mind going just to be able to see it. 2019 = Another year, another round of junk. 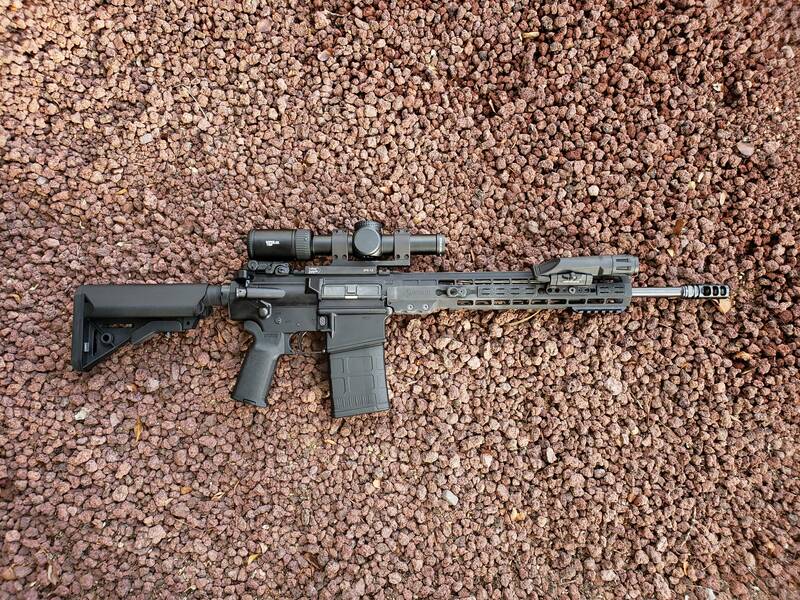 The Armalite rail is a POS. I had one. It sucked. It squirmed around on the barrel nut. Last edited by scottryan; 01-27-19 at 16:59. So later in one of the days I happened upon a booth with a guy who installed toggle-switch locks onto glock slides, allowing the user to fire a single suppressed shot without the weapon cycling (like the old M23 or KAC beretta). I can't remember for the life of me the name of the company though. Anyone know? Sounds like The Hush Puppy Project, but to the best of my knowledge they're focusing on the M&P 2.0, not Glock. SHOT Show organizers require licensees to remove firing pins from all displayed weapons before the firearms enter the convention center, the complaint stated, meaning the guns would need to be modified before they could shoot. The next day, the owner of Gun Shop Las Vegas on St. Rose Parkway in Henderson reached out to the ATF, saying Limon, Foster and a woman had purchased a 12-gauge shotgun and magazines and asked about a firing pin for an AR-style firearm. The men said “they were told by an associate that the firing pin needed to be replaced when it was cleaned,” according to the complaint. The owner concluded “the individuals were unfamiliar and/or new to firearms.” Limon told the owner that he worked at SHOT show.